The only setting powder to suit any skin problem and all skin types. Made with only 100% pure Australian minerals, our bestselling Premium Mineral Setting Powder helps to minimise pores and shine while giving your skin a gorgeous matte blurring effect that holds makeup in place. Formulated with only 4 pure mineral ingredients, this setting powder is proudly free from any harmful toxic, chemical and synthetic substances. Blended with a selection of anti-inflammatory minerals, the nourishing formulation helps to calm redness and skin irritation for a healthy-looking complexion. The finely-milled powder adheres to the skin’s surface and soaks up excess sebum for a silky matte finish. Pure minerals act as a protective shield for the face due to their natural resistance to water, resulting in a longer-lasting coverage for the user. Formulated with nourishing minerals that are equipped with SPF24 sun protection to block out harmful UVA & UVB rays. Mica, Calcium Carbonate, +/-Iron Oxides (CI 77492, CI 77491, CI 77499), Ultramarine Blue (CI 77007). 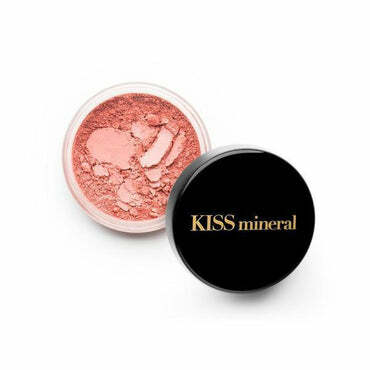 This mineral setting powder is assuredly free from harmful preservatives, stabilisers and any kind of chemical substance. Strictly no bulking agents and fillers in our formula as well—only 100% pure premium-grade minerals. 1. Twist the sifter to open position and gently tap on the back of the jar three times. The amount dispersed on the cap should look similar to the picture. 2. 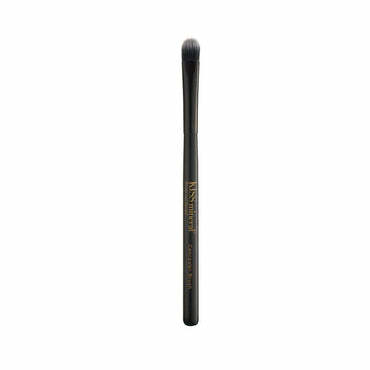 Using the KISS mineral Premium Face Brush, gently press and rotate the brush to swirl the powder in. 3. The brush should ideally look like this with the powder finely dispersed on the brush head. 4. Start buffing the powder onto the face, starting with the nose and T-zone. Proceed to blend in circular motions for a flawless finish. Add extra coverage as desired.